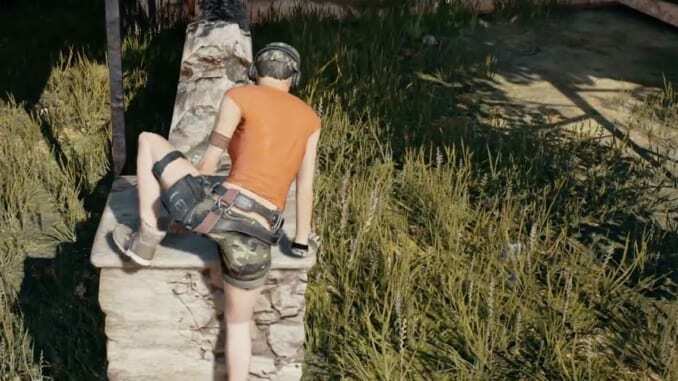 Battlegrounds developers recently announced that they would be briefly opening Test Servers featuring vaulting and climbing mechanics. A few weeks ago, PUBG’s official Twitter account announced that they would be delaying the test server schedule in order to address an unexpected issue. The developers wanted to delay the test servers featuring vaulting and climbing mechanics in order to make sure the servers run in a stable environment. As of November 13, the team announced on Steam that they would be opening the version 1.0 test servers. However, the current test build is not completely stable. As a result, the team plans to only open the servers for a short amount of time. To those interested in testing the new features, developers warn of client crashes on the test servers and ask for understanding while they try to fix the issue. The Battlegrounds update on Steam can be found here. There are two major additions to Battlegrounds in this update: vaulting and climbing mechanics and ballistics. The only modes included in this version are first-person and third-person solo games, both on NA and ASIA servers. Of the two major changes, ballistics is a lot more emphasized in this Steam announcement than vaulting & climbing. The developers improved the balance of weapons by making changes to bullet drag effect, accuracy, and hit areas. Projectiles are now affected by air resistance as well as gravity. Bullets have a bigger drop when traveling for a long period of time. All weapons are accurate up to 300 meters. Zeroing is now a parameter of the iron sights or sight attachment. You can now adjust a red dot’s reticle in different light conditions. The player’s neck is protected when wearing a helmet. Aside from the vaulting and climbing mechanics, other game play additions include realistic vehicle driving and improved driving animations. The developers have also improved the backpack capacity UI in the inventory screen.